This has got to be the greatest GRACE chapter in the entire Bible as well as the story of the greatest rescue of all time: OURS! Even the chapter number, 5, is the number of Grace! 1 “Now I saw when the Lamb opened one of the seals; and I heard one of the four living creatures saying with a voice like thunder, “Come and see.” 2 And I looked, and behold, a white horse. Conquering and to conquer? That sounds awful! If really bad things happens when each seal is opened, what’s all the crying about? Must be something about this scroll that we don’t understand. We could read one of the many commentaries out there. There are certainly no lack of them out there. Seems like everybody has an opinion. But scripture is it’s own best commentary, which is so much better than reading someone else’s idea. That would just be rehashing old, familiar theologies instead of letting the Holy Spirit take over and teach us. So, let’s find out what, if anything, it has to say about a sealed scroll. Is there any other place in the Bible that mentions such a thing? Yes, there is! The Sealed Scroll Of Jeremiah. 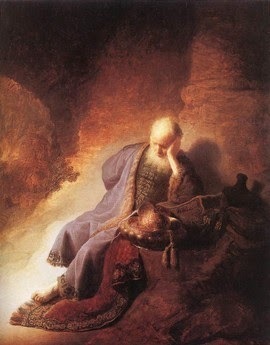 In chapter 32, Jeremiah records that he, referring to himself, was in prison where King Zedekiah, had thrown him. Old Zed happened to be the king of Judah at that time. In fact, he was the very last one before the Babylonian captivity. But, he wasn’t a very nice guy which is kinda strange, since his name in Hebrew means “God is righteous.” Not much like his namesake. Not too bright either. He literally locked up the only man who spoke for God at that time. If there were ever a time when he needed to hear from God, it was then. 8 Then Hanamel my uncle’s son came to me in the court of the prison according to the word of the LORD, and said to me, ‘Please buy my field that is in Anathoth, which is in the country of Benjamin; for the RIGHT OF INHERITANCE IS YOURS, and the REDEMPTION YOURS; buy it for yourself.’ Then I knew that this was the word of the LORD. Why is the Holy Spirit using this language: “Hanamel the son of Shallum your uncle?” Tell me: Who is the son of your uncle? Your cousin, of course. So why doesn’t He just say so? Because He wanted to include their names! You see, all names in Hebrew have a meaning. Hanamel means “The grace (hana) of God (El). Shallum comes from the Hebrew word, “Shelem,” which means “Paid.” Who is it that paid for the grace of God? Jesus! The name, “Anathoth,” means, “Answers to prayers!” Looks to me like the meanings of names and places in this passage are telling a different story than the one on the surface. If you’re seeing it too, you’re not wrong. #3: He must be willing to purchase what was lost and restore it to the relative freely, no strings attached. This entire perfect, earthly paradise was created for us by God. But it was forfeited to satan by Adam who bowed his knee to that outlaw spirit instead of to the Holy Spirit in the garden. In so doing, he committed high treason. God had given man the “Keys,” so to speak, to the earth to rule over and subdue it. “Six days shalt thou labor and do all thy work.” It was basically a six day lease. Well, according to 2 Peter, a day to God is as a thousand years. By that reckoning, it’s clear that our 6,000 year lease is going to be up soon. We are in the early dawn hours of the seventh day. God will very soon, once again, take back control of the earth. HALLELUJAH! 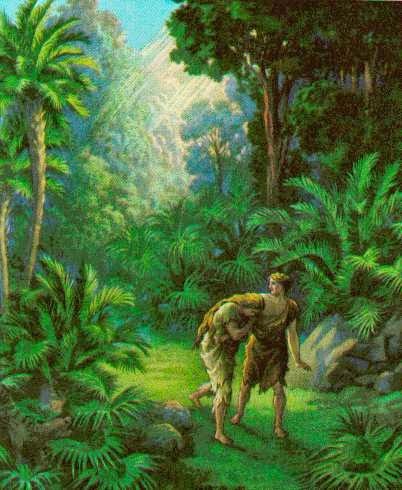 However, since Adam legally forfeited his inheritance, the earth is still fallen. Do you really think that God would allow wars, sickness, poverty, famine, lack and all manner of misery if He was in charge? AS IF! The One Who gave up His beloved Son to save us??!! I DON’T THINK SO. But, because of the terms of our lease, He cannot legally intervene in any of our affairs unless we ask Him to. God can only help those who have a covenant with him. That’s why we pray. It activates our covenant. Those who are outside of Christ, however, ALL BETS ARE OFF, since they have no covenant with God. They are on their own with absolutely no defense against a very real devil. He hates God and hates us who are made in His image. Since he cannot strike at God directly, he strikes at us instead. Oh yeah; you DON’T want to be out from under His protection! Since it was a man that forfeited our inheritance, it legally had to be a Man to buy it back. That’s why God had to send Jesus. Only He could buy back our forfeited inheritance. We are poor, blind and naked and not in a position to redeem anything. NOPE. We needed a strong Goel. Take a good look at the sealed scroll in the picture. Can you see that part of the scroll is open and part is sealed, and that there is writing both within and without? 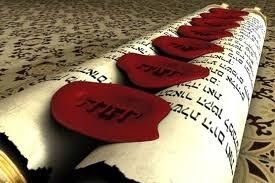 The scroll is sealed with witnesses names on the outside; terms and conditions on the inside. AS LONG AS THE SCROLL REMAINS SEALED, THE INHERITANCE REMAINS FORFEITED. Until someone from our family, a human being, a rich relative, could come to our aide who could buy back our land and unseal the scroll, our inheritance remained legally forfeited. All the terms and conditions of the scroll written inside remain in effect until it is legally redeemed by our Goel. Now do you understand why John and the angels were weeping?But our AWESOME Abba, in the fullness of time, sent His beloved son, Jesus. HE WAS THE ONLY ONE FOUND WORTHY TO OPEN THE SEALS!!! The Lion of the tribe of Judah! If you can be SEALED by the Holy Spirit Who is good, you can be SEALED by evils spirits. There are SEVEN on this scroll. Jesus death was actually an OVERPAYMENT of the debt levied against us! He bought back that scroll from the devil’s hand, unsealed the seven seals from every born again person and freed us from ALL those curses listed in graphic, terrifying detail in Deuteronomy 28. They were our FORMER inheritance. HALLELUJAH!!! Thanks to Jesus, these seven seals have NO MORE CLAIM ON US; no more right to affect us and our earth. Believers are standing on NO CURSE GROUND!But, as I said of unbelievers, the devil can pick on them any time he pleases. I would say they are at his mercy but he doesn’t have any. 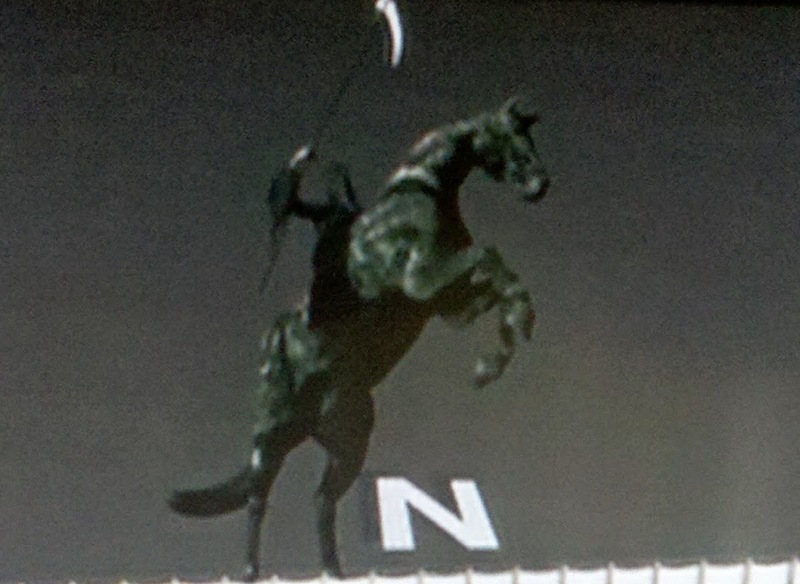 The 1st seal—>the counterfeit rider on a white horse: the spirit of anti-Christ. We are not affected by his wiles. We have eyes to see, ears to hear and supernatural discernment. Why so many are blind enough to select leaders that are clearly evil? Why is there so much anti-Semitism and anti Christian rhetoric running amock in the world today? Persecution and murder of Jews and Christians? Mindless violence in diverse places and global terrorism? 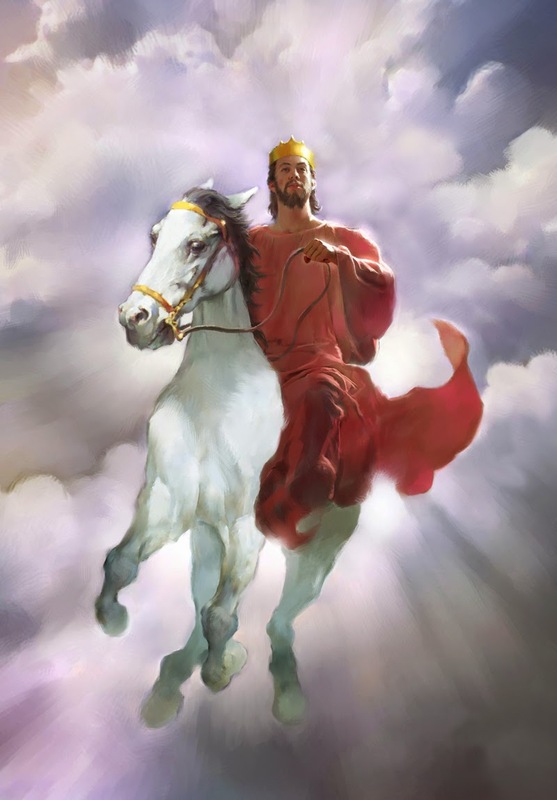 Those who are still sealed are being affected by THE RIDER ON THE WHITE HORSE: the spirit of anti-Christ. You cannot reason with these people. It is a seal on their lives. The Lion of the tribe of Judah: Jesus is His Name! Sound familiar? All the violence in Ferguson; Hamas attacking Israel; persecution of Christians and Jews around the globe; random killings; brutal murders; attacks on children at schools; racial tensions running wild, random killing of law enforcement people; ISIS and radical Islamic terror groups on the rampage. 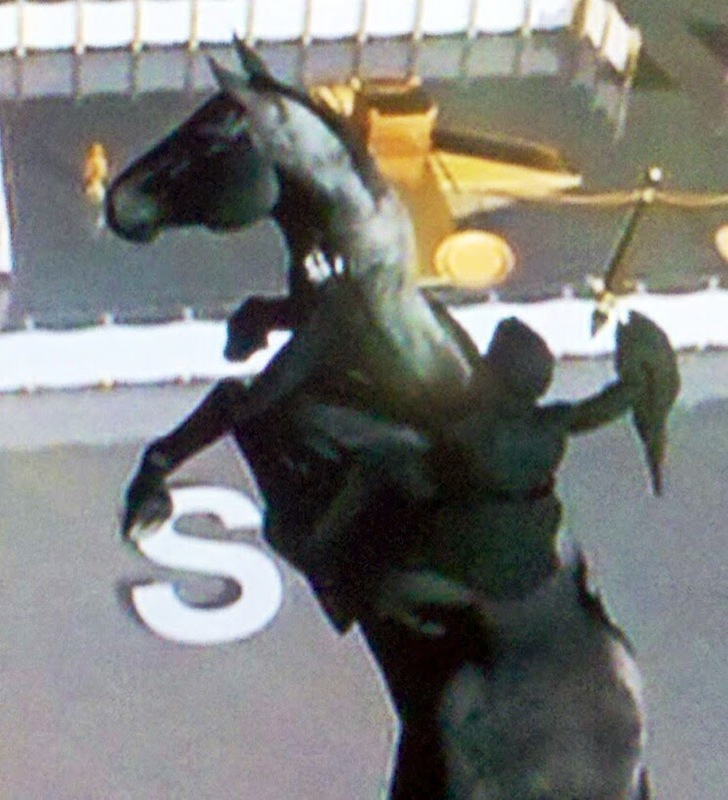 The people perpetrating these crimes are being affected by the RIDE ON THE RED HORSE. You cannot reason with them. It is a seal on their lives. The only hope for them is the One Who can open the seals and open their eyes. 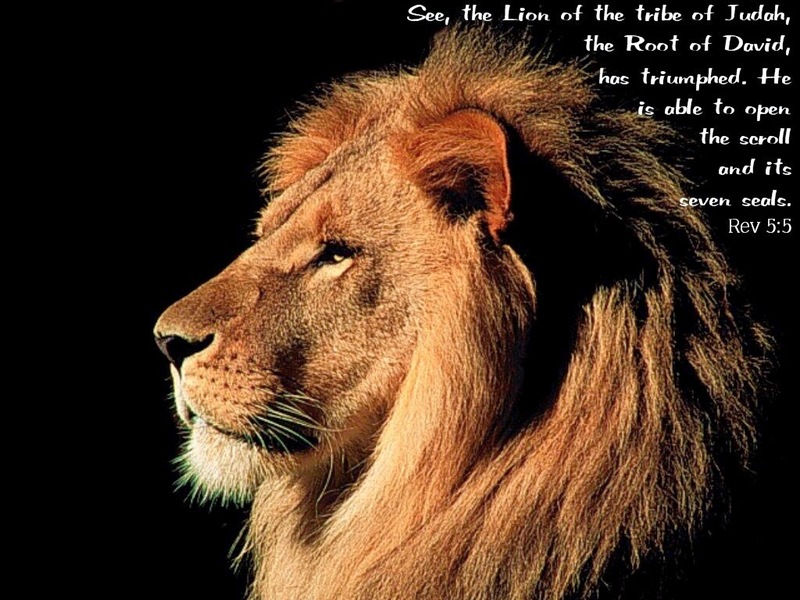 The Lion of the tribe of Judah: Jesus is the His Name! This rider signifies want and lack. It is a seal and cannot be overcome by human effort. The only sure source of supply is our Lord Jesus. Your security cannot be in the stock market, it must be in Jesus. His children will not go begging bread for The Lord Jesus Himself, He is our Shepherd; WE SHALL NOT LACK. There will be many in these last days who will suffer lack. You cannot help them except to tell them about Jesus. Their only hope is The One Who can open the seal. 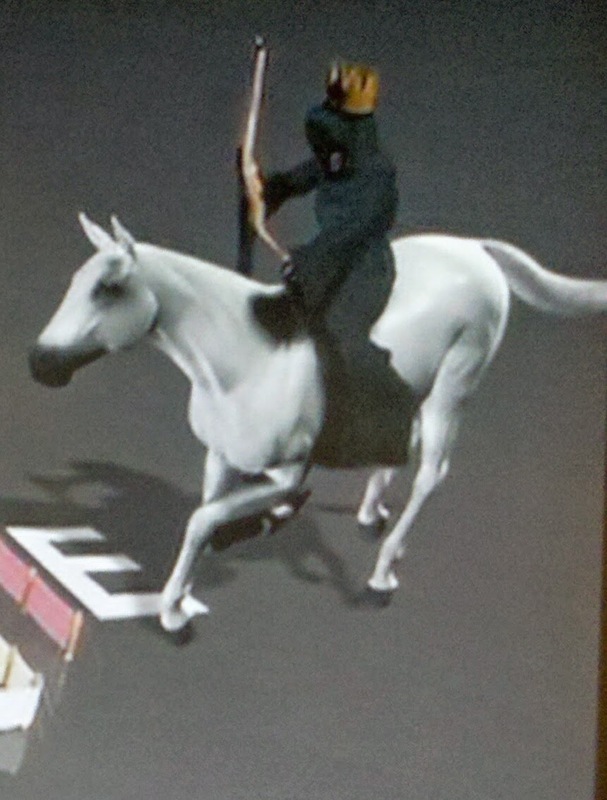 4th seal—>The Rider on the pale horse. 7″And the name of him who sat on it was Death, and Hades followed with him. And power was given to them over a fourth of the earth, to kill with sword, with hunger, with death, and by the beasts of the earth. The word in Greek for “beasts of the earth,” is not like a lion or tiger; it’s a diminutive term referring to something very tiny, invisible to the naked eye, microorganisms that cause all manner of diseases. Ebola; SARS; Bird Flu; Legionnaires disease, and so on. Church, we have Psalm 91 and others in which to find refuge. We have a strong tower and solid rock, Jesus, to defend us!Those who remain sealed are fair game. The devil can pick their number any time he pleases. The only hope for them is The One Who can open the seal. 5th seal: Martyrdom, This seal is self-explanatory. 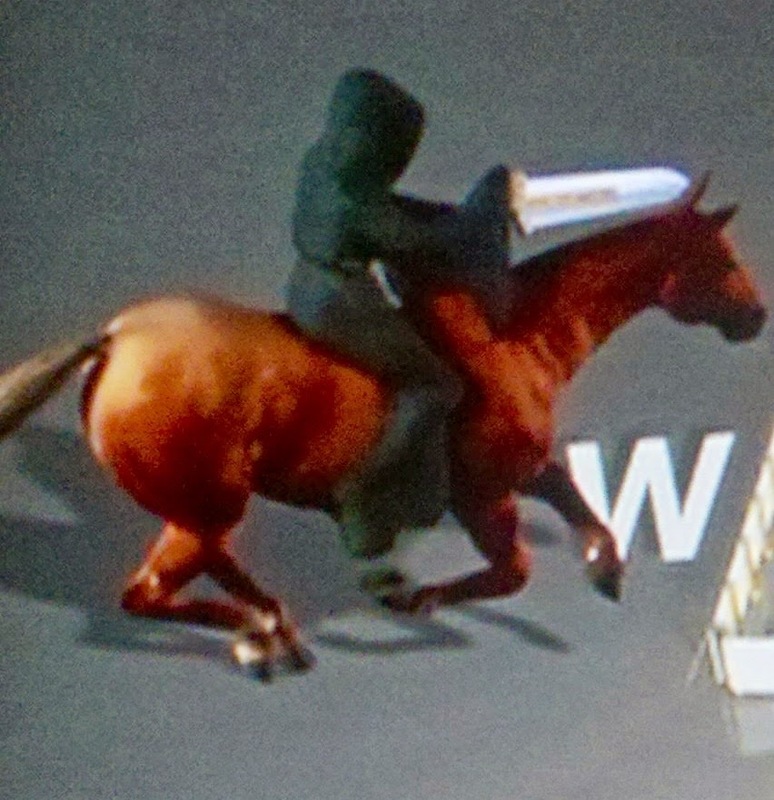 We have nothing to fear from this rider. The 6th seal: Cosmic disturbances. As Jesus stilled the storm with one word, “Shalom,” so we too can still the storm. We have to say four words though: Shalom in Jesus’ Name. The 7th seal: Silence. God is not silent in our lives! We have full, open, blessed and continuous fellowship with Him. This silence is the calm before the storm. It ushers in the seven Angels with the seven trumpets. The worst calamities ever to hit planet earth with be unleashed. We won’t be here, Church. WE’LL BE SITTING DOWN AT THE MARRIAGE SUPPER OF THE LAMB! Every seal GONE, UNsealed off the life of every believer! All those bowls of judgment, which should be poured over us, were poured out on Jesus; one after another after another until all God’s holy wrath and judgment was spent and it was FINISHED!!! As He took our place, we now take His place! These horsemen and all those bowls of wrath will not, CANNOT harm the sheep of His flock! They have been UNsealed off your life!So Church, don’t be afraid to read this wonderful book. 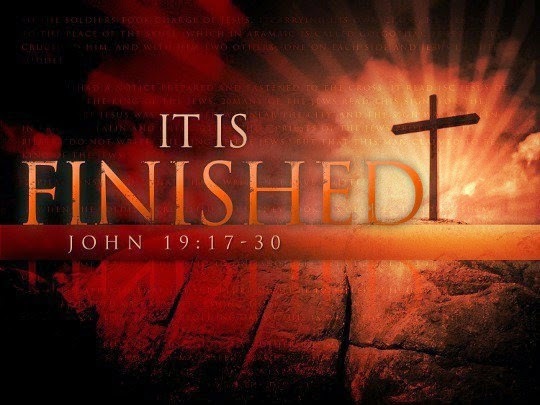 Read it with the understanding that JESUS FINISHED THE WORK. He could not sit down at the right hand of The Father because He’s God, although He is….Or the Son of a God…..although He is. NO! “Having purged all our sins, He had a righteous foundation. He sat down” because HE FINISHED THE WORK! 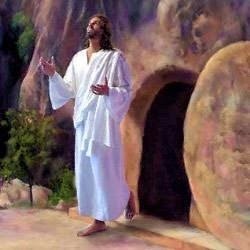 Revelation now becomes a book of hope, of the promise because we have been redeemed from EVERY CURSE, EVERY JUDGMENT!!! Come under the shelter of His wings if you haven’t yet. Come! Let Jesus unseal your life from the destruction that is even now beginning to take place in these last days. You don’t need to let all those seals affect you life; your earth, your family. No! Stand on the safe, solid, rainbow-encircled, NO JUDGMENT GROUND of the redeemed of The Lord! Say “Yes!” to THE ONE WHO PAID FOR IT ALL and holds in His nail-pierced hand your paid-in-full receipt…..IF you’ll accept it! ← The Pillars Of Solomon’s Temple.